... that a new “risk-based capitalization” model originating from Connecticut is now competing with traditional seed arrangements for emerging managers? Why is it so attractive for new or emerging managers, as well for investors? ... the two main reasons why the large multi-strategy hedge funds are the winners in the current market environment? ... which strategies work in FX? That a new model categorizing Forex managers into 14 different style buckets allows for unprecedented insights into sources of alpha and sustainability of alpha? ... why Asian investors are still very slow in returning to the hedge fund industry after 2008, and what strategies are in demand from those who reinvest? Is the industry going towards the $100 million seed deal? What are the three business lines many fund of hedge funds find themselves after 2008? What are the ten focus areas within operational due diligence where investors hold hedge funds to a higher standard now? Why do many emerging managers still struggle with the proverbial elevator pitch, and what to do about it? 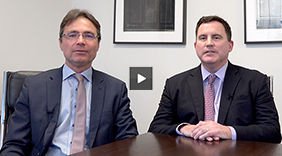 What are the opportunities in stressed and distressed debt? Why international investors discover now the appeal of U.S. Energy Master Limited Partnerships (MLPs)? Why more hedge funds leave New York for Connecticut, and that even Malta (offering U.S. managers a corporate income tax of 5% via a new ratified tax treaty) may be a destination? The Roundable was sponsored by Custom House Group and Taussig Capital.